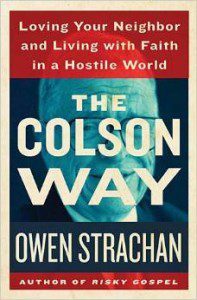 The Colson Way: Loving Your Neighbor and Living with Faith in a Hostile World (Thomas Nelson, July 2015). The first major work on Colson since his death in 2012, this project will repristinate the public-square work of Colson so as to engage the millennial generation, inheritors of a contested culture. 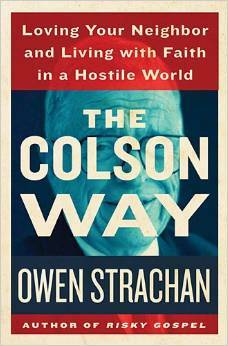 The story of Colson is lively and inspiring, and prompts us to think afresh about own public-square witness today. Features interviews with Eric Metaxas, Robert P. George, Timothy George, Frank Wolf, Erick Erickson, Emily Colson, Colson Center leadership, and numerous others. 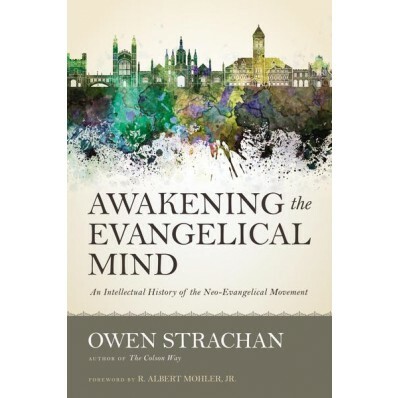 Awakening the Evangelical Mind (Zondervan Academic, October 2015). A scholarly monograph aimed at both the academic and ecclesial communities that tells the exciting story of how Harold Ockenga, Carl Henry, Billy Graham, and the “Boston Scholars” launched a great project in the 1940s to rehabilitate and invigorate the evangelical intellect. Will be of interest to historians, pastors, seminary students, and those who enjoy American evangelical history. 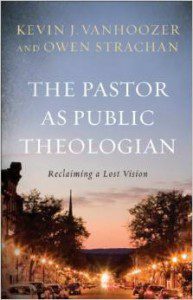 Vanhoozer and I seek to recover this vital model of the pastorate, one that enfranchises pastors to be theological leaders of God’s church. Will be of interest to pastors, seminarians, and all who care about the theological future of God’s people. Features brief reflections by pastors like Kevin DeYoung on how theology has informed their pastoral work. 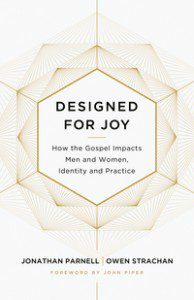 Edited with Jonathan Parnell, Designed for Joy: How the Gospel Impacts Men and Women, Identity and Practice (Crossway, July 2015). A gospel-driven presentation of the goodness and joyfulness of biblical manhood and womanhood. Designed for Joy seeks to flesh out what complementarianism looks like in practice. It is aimed at a younger audience and is intended for a wide readership. The authors are young complementarians who are strongly committed to biblical wisdom. 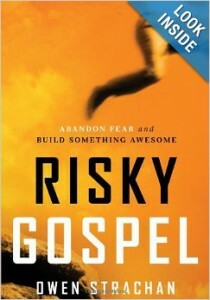 The foreword is by John Piper. The cover was designed by Christopher Nolan (I jest, but really, it’s a good look). 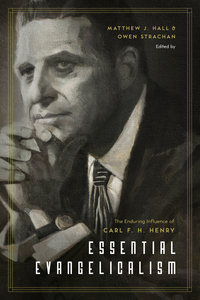 Edited with Matthew Hall, Essential Evangelicalism: The Enduring Influence of Carl F. H. Henry (Crossway, September 2015). 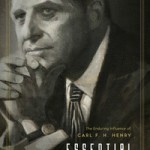 A collection of academic essays from eminent evangelical scholars and leaders engaging the ministry and model of Henry, the most significant theologian of the second half of the twentieth century. Contributors include D. A. Carson, R. Albert Mohler, Jr., Richard Mouw, Gregory Thornbury, and Timothy George. Those wanting to understand Henry’s legacy and major work will find this short and accessible book helpful. It will be of use to scholars, pastors, and any who wish to learn more about American Christian history. What will our scholarship and pastoral ministry be if we are heads without hearts or hearts without heads? 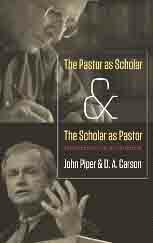 Recognizing the need for pastors and scholars to embody both theological depth and practical focus, John Piper and D. A. Carson have boldly advanced what it means to be a pastor-theologian and a theologian-pastor. Weaving testimony and teaching, Piper and Carson challenge those in academia and in the pastorate to think carefully and holistically about their calling. Piper centers on the importance of careful thinking in his role as pastor, while Carson focuses on the importance of a pastoral heart in his career as scholar. With insight and balance, Piper and Carson give critical guidance to help us span interdisciplinary gaps to the glory of God and the good of his church. These chapters are revised and expanded versions of the messages originally given following the 2009 Gospel Coalition conference. Reprinted in Korean, listed on two “Top Ten in 2010″ lists (David Dockery, Sam Storms), briefed in World magazine, mentioned in USA Today by religion columnist Cathy Grossman. Jonathan Edwards was a colonial, philosophical preacher and theologian. To many he stands as the preeminent theologian and thinker of the American tradition. This series of five books covers Edwards’ life and major writings opening an accessible window into the heart and mind of the man credited for starting the First Great Awakening. By way of introduction, presentation and reflection, the authors unearth the choicest treasures of Edwards’ writings for lay people to discover. Eminently readable and understandable, The Essential Edwards Collection proves you do not need to be a scholar to enjoy and benefit from the writings and life of Jonathan Edwards. 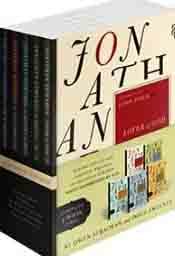 This set includes all five books of The Essential Edwards Collection: Jonathan Edwards Lover of God, Jonathan Edwards On Beauty, Jonathan Edwards On Heaven and Hell, Jonathan Edwards On the Good Life, and Jonathan Edwards on True Christianity. “Reenchanting the Evangelical Mind: Park Street Church’s Harold Ockenga, the Boston Scholars, and the Mid-century Intellectual Surge.” (Trinity Evangelical Divinity School, 2011) Completed under the supervision of Douglas Sweeney (supervisor), John Woodbridge (second reader), and George Marsden (external reader). Available here.